The Teeth Tomorrow® Network is proud to announce that it is now the fastest growing network of Advanced Implant Dentists in the U.S., bringing a life-changing procedure to patients suffering from major dental issues across the country. (Tomorrow)”, says Dr. Michael Tischler, the network’s founder and implant editor of Dentistry Today, “The benefits of next day delivery instead of same day are: less chair time for the doctor and patient, a refined lab processed provisional, and easier delivery for the patient and doctor since the tissue has reduced in height overnight.” Tischler & Patch Dental is the flagship member practice for Teeth Tomorrow® Hudson Valley in Upstate New York. 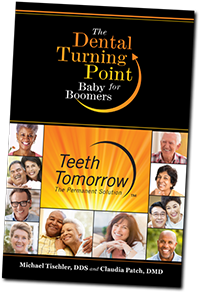 To date, Teeth Tomorrow® practices also include: Integrated Dentistry in northern Arkansas; Legacy Smiles in southern Arizona; Sonoma Smiles in Rohnert Park, CA; Carlsbad Dental Care near San Diego, CA; Mohammed Ali, DDS in San Francisco, CA; The Fort Collins Dentist in northern Colorado; Alafaya Cosmetic Dentistry near Orlando, FL, Trinity Dental Arts near Tampa, FL, Brar Dentistry northwest of Chicago, IL; Smile Glen Ellyn west of Chicago, IL; Thayer Dental Care in the Ozarks of Missouri; John Highsmith, DDS near Asheville, NC; Avason Family Dentistry near Charlotte, NC; Integrated Dental Aesthetics in northern New Jersey; Eastside Dental Medicine in Manhattan, NY; Astoria Dental Group in Queens, NY; Staten Island Aesthetic and Implant Dentistry; Putnam Dental Associates in Brewster, NY; Sachem Dental Group with 6 locations across eastern Long Island; LifeSmiles by Randy Mitchmore, DDS in Houston, TX, and: Davis Dental in Bountiful, UT. These member practices are the foundation of a national dental network (limited to 250 franchisees) that provide proven surgical and prosthetic solutions with the Prettau Zirconia Bridge™. The Teeth Tomorrow® Network is the only US dental franchise dedicated to full arch zirconia as the final product. Network membership is only granted to carefully selected practices committed to providing premium-quality dental reconstruction services. Teeth Tomorrow™ dental prosthetics are constructed using 3D dental imaging, customized for each patient’s unique smile. Each Prettau Zirconia Bridge™ is a one-piece, non-porous, chip and stain resistant device, hand painted to create an individualized, natural look, with a 100% success rate based on a current 5-year study.